I spent my formative years summering on the island of Martha’s Vineyard, so I have fond memories of spending July 4th clam baking, lobster rolling and BBQing on the beach, followed up with a viewing of the famous Oak Bluffs fireworks. While it's hard to recreate that particular experience living in a desert climate 3000 miles away, I think I made a pretty good showing for C's third Independence Day (and the first one he was able to enjoy). I managed to bring a little bit of that East Coast holiday goodness into play thanks (again) to our friends at Knuckle and Claw and their spectacular Lobster Roll. For good measure (and because what's a good ol' fashioned American holiday without a little gluttony) I also added a blue crab roll to the mix. That's how we do the Fourth of July, LA style, amiright? After all that indulgence, we rolled ourselves home to enjoy a set (or 17) of some good old-fashioned fireworks. I admit that living in the hills can be annoying if you forget an ingredient at the grocery store, but living far away from the hubbub of the city definitely has its advantages. From the comfort of our very own deck, and with cocktails in hand, we were able to catch the Universal City fireworks and just about every other celebration that took place in the San Fernando Valley. Watching C's amazement, as opposed to outright fear this time around, was a true joy. Truthfully, I’m not sure if it was the fireworks or the homemade ice cream that had him loving life. Yep, that's how we roll here at Casa Haas: it's not a holiday until the homemade desserts make an appearance. If I had to live on a desert island with only one food for the rest of my life, that food would, hands down, be ice cream. 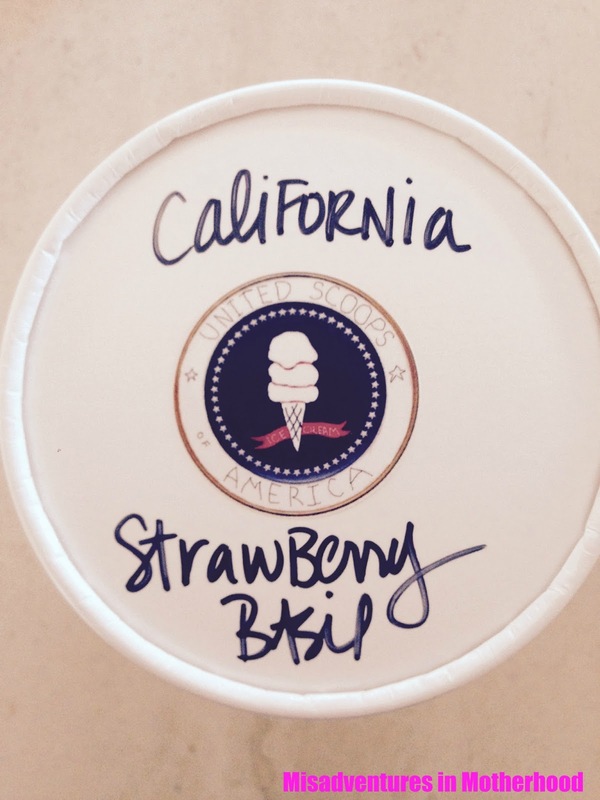 So much so that I even founded United Scoops of America (trademark currently pending). While it’s still being made out of my home kitchen, my American dream is to one day have a shop of my own. 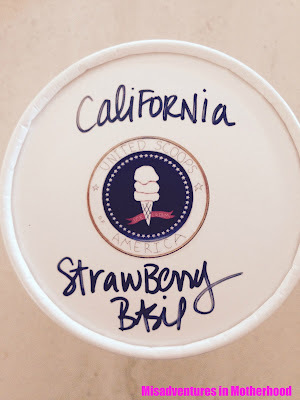 None of you have signed NDAs so I’ll forgo sharing the shop’s clever concept (unless one of you is a willing investor, in which case – hit me up on Instagram) so you'll just have to make due with a recipe for C’s favorite flavor: Strawberry Basil. 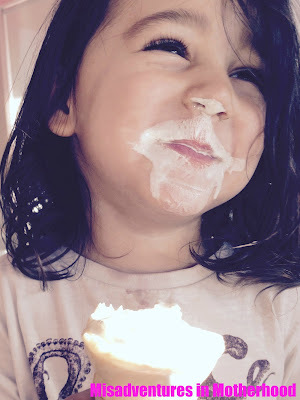 Ice cream is super easy to make, and always impresses husbands, guests, and small humans. Wash and hull strawberries (i.e. remove the stem and bitter white part). Cut the berries and toss with one teaspoon of sugar. Let the berries sit in small bowl while you prepare the rest of the ingredients. Meanwhile, in a small saucepan, heat the milk and sugar just enough to dissolve the sugar. Remove from heat and place basil in mixture. Let steep for about an hour. Back to those strawberries: run them through a food processor or baby food maker to puree. Remove basil leaves from milk mixture, and add strawberry purée, vanilla and chilled cream. Mix until combined. Add to your ice cream machine according to machine’s instructions. If desired, five minutes before it's done, squeeze some balsamic glaze into the mix. Careful not to overdo it, just enough to add some contrast, or not at all if the basil is enough of a variant for you. Transfer to ice cream cartons (available at Smart & Final). Serve immediately if you want soft serve, or harden in the freezer for an hour before eating if you prefer scooped ice cream. If left in the freezer for more than an hour, take it out to thaw a bit before serving as the water content of the berries hardens it more than any of my other flavors. 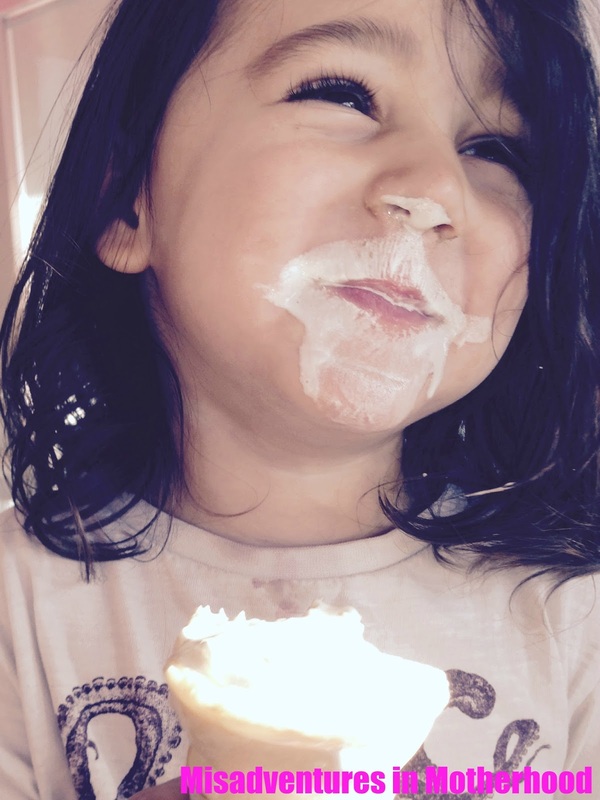 For true ice cream enjoyment, eat your ice cream Caleb-style: scoop into a cone, top with sprinkles and devour the taste of summer and Independence.